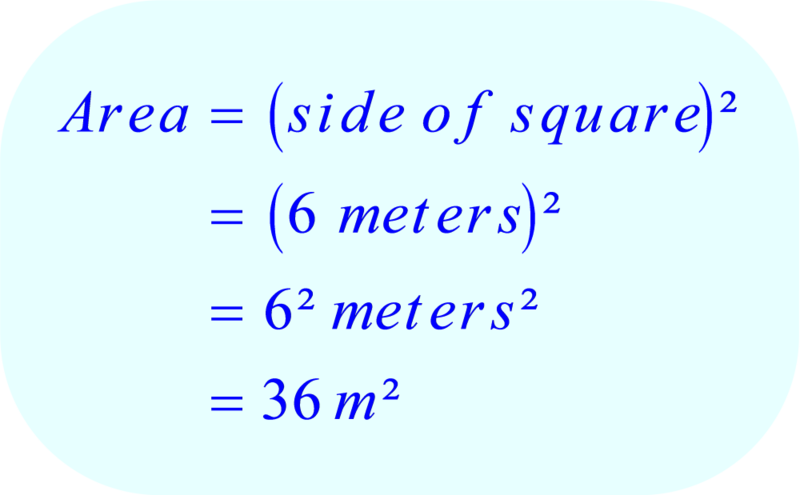 Area is measured in square units such as square kilometers, square meters, square feet, square centimeters, etc. Every side of square room is 6 meters. 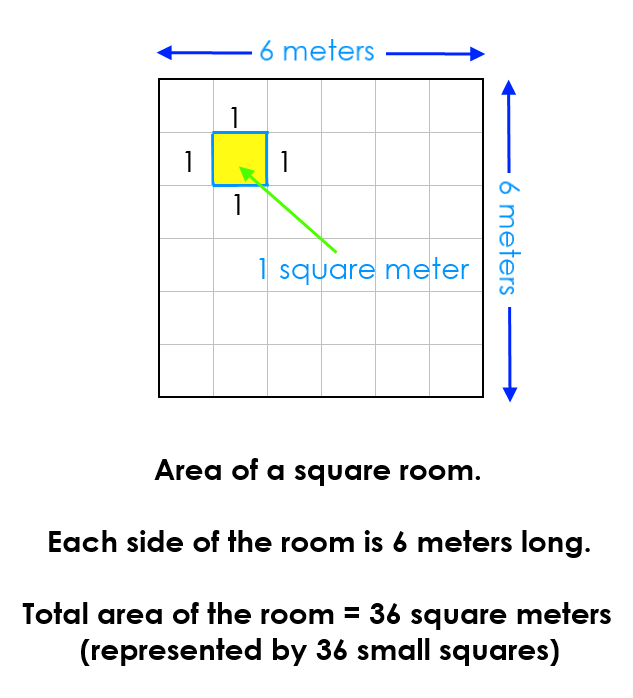 What is the area of the room?